He Ain't Heavy, He's My Brother by SPARKART!, on Flickr. See, because they're all clones...Ok, technically not brothers, but...brothers-in-arms? Yeah. That's it. Sorry guy but that ships been done by Lego as a midi. It's set #8099 so the Star Destroyer and Millennium Falcon are off limits. You're more than welcome to do the Interdictor if you'd like. Also remember to go bigger as yours was more mini than midi. foximus-prime wrote: Sorry guy but that ships been done by Lego as a midi. It's set #8099 so the Star Destroyer and Millennium Falcon are off limits. I hope this isn't true, because I'm planning a Midi Millennium Falcon. 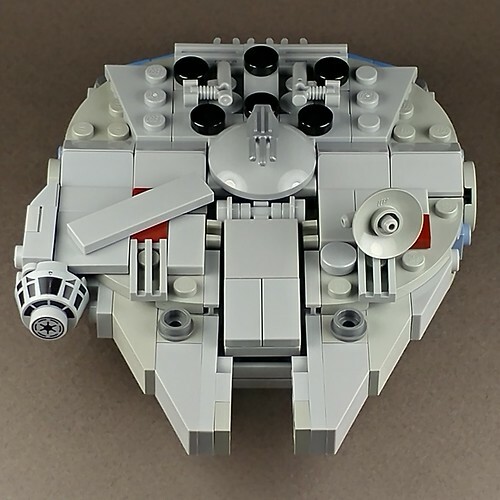 The rule that reads, "Pick a vehicle from any of the mainline films or TV series [that] hasn't been made into an official microfighter set already..." IMHO, doesn't apply to Midi builds, but then, I'm not a referee, so my opinion really doesn't matter. I am a voter, and Trooper10's Star Destroyer gets my vote as a good Midi representation; I can't see it as a poly-bag, and it fits in a shoe-box. You've got to put the "party" in participation. When I make anything in LEGO, I always have to buy parts. Most of my parts come from Bricklink. I like to think that my inventory is outsourced to all the stores on Bricklink. I have access to almost every part that LEGO ever made, I just have to pay time and money to get to it. 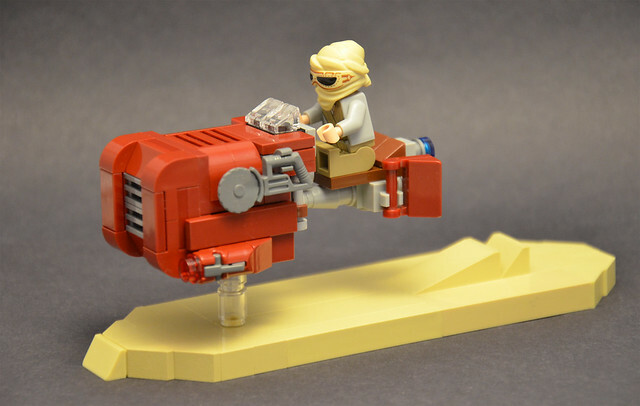 Rey's Microfighter speeder. A couple of other views on my flickr and the side panels open too. This version is based off the Rebels animated series. Captained here by Admiral Raddus as it was his decision to use the hammerhead to push the two star destroyers together. What a piece of junk! by SPARKART!, on Flickr. Follow the link to my Flickr photo stream and you can find a dozen pages of step-by-step instructions and suggested parts list so you can make this model for yourself! Oops, I just noticed that the cockpit assembly sequence in the instructions is a bit awkward. Meh, I'm not going to fix it. We're all experienced LEGO builders around here, I'm sure you can figure it out. Good luck, and may the Force be with you. 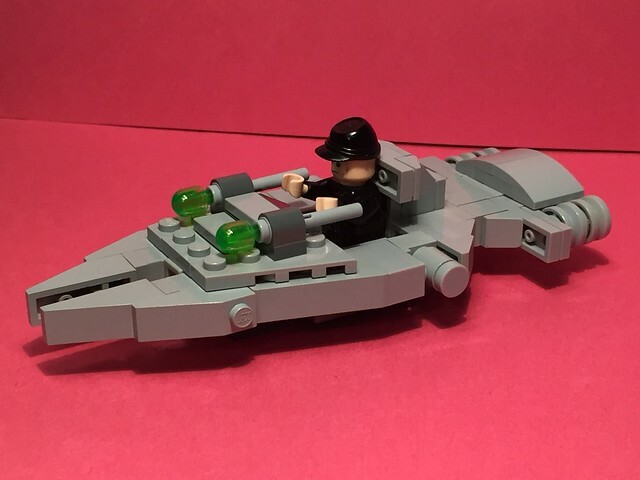 So I just found this contest and thought I would post something since I made a few midi-scale SW vehicles recently Not sure if this really qualifies since it's not a spaceship, but being a SW-vehicle I thought I'd give it a try. 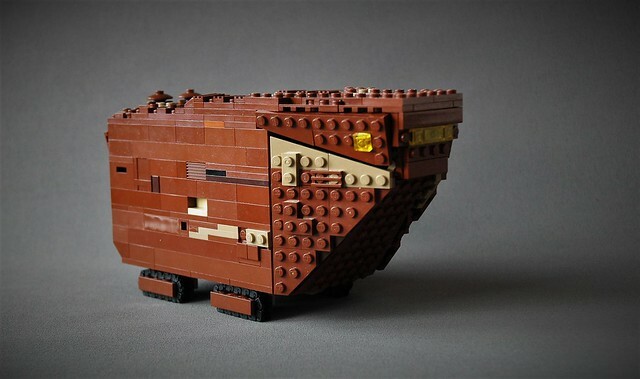 Introducing one of the most iconic vehicles in the history of the franchise (at least in my opinion), the sandcrawler! 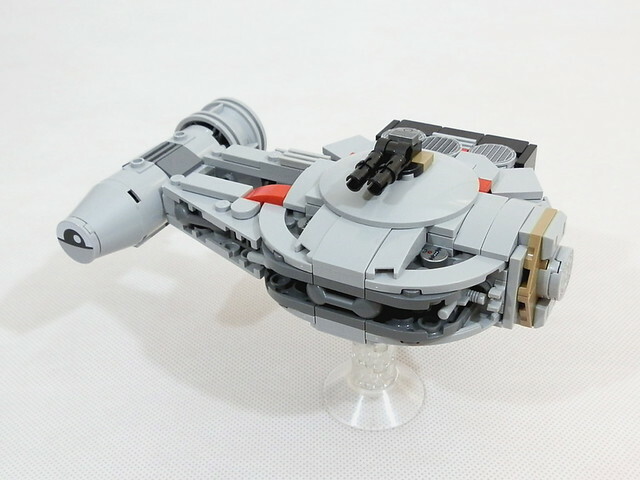 I have the UCS version in a box at home and still haven't found space for it...so I decided to create a smaller version of it which can be more easily displayed. It rolls along nicely and the front hatch can be opened as well. 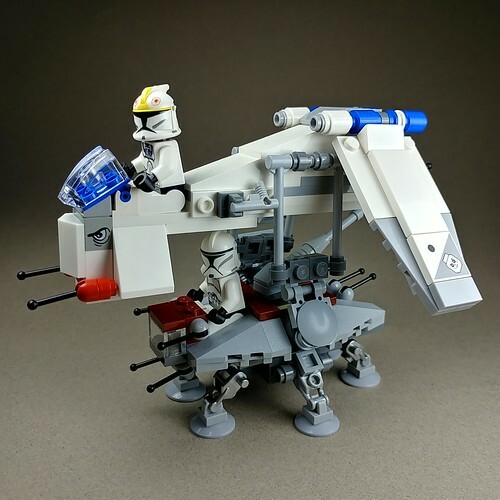 More pics on my Flickr, along with a few other midi-scale vehicles (AT-AT and imperial shuttle). Peace! earlier I wrote: I updated that line for clarity - yes it applies to microfighter sets specifically. We just don't want to rehash what Lego has done. Yeah, so, in hindsight I really dropped be ball on that clarification. 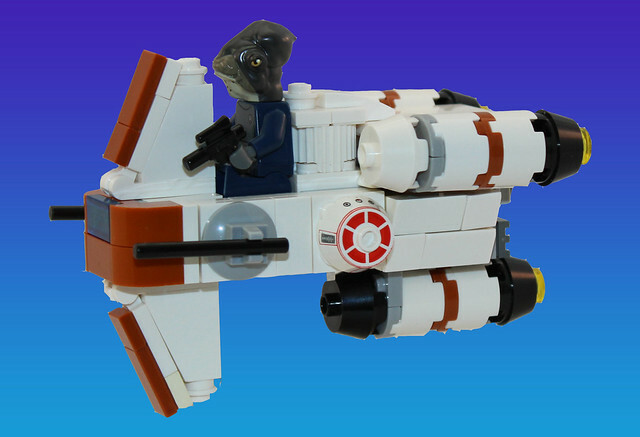 LEGO has only made two Midi ships and we had intended for those to be off limits just like the Microfighter exclusion, but I will concede that it's too late in the game to hold everyone to what I meant to say rather than what I actually said. So the Falcon and SSD are fair game for Midis, because I'm an idiot. 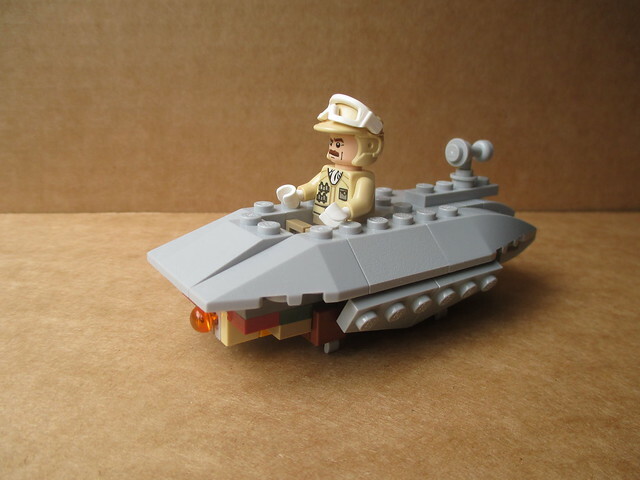 The Rebel Transport, as seen in the evacuation of Hoth. This one doesn't need an Ion cannon to clear a path, it has its own shooter amongst the cargo pods. I should have taken more pictures from different angles. It's impossible to see that the pilot has some controls on a slope in front of him. 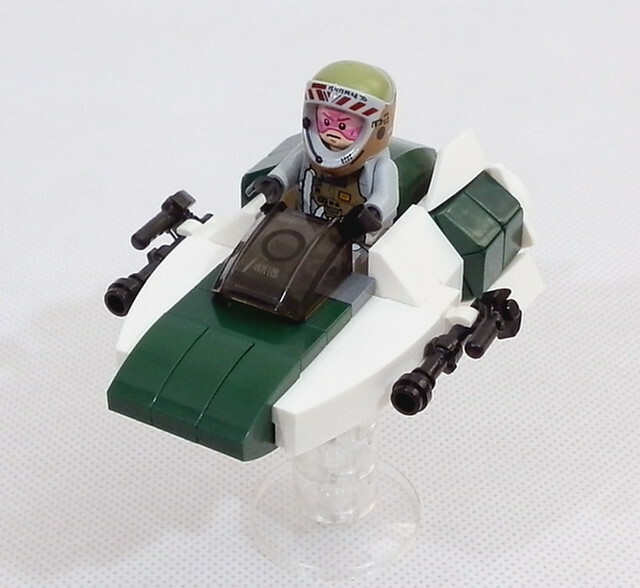 Yeah first A-Wing! Super fun contest. Ended up making an army of different Micro's but this is the one I'll enter. Here's my Midi entry. Figured the Outrider being in the background of Epsd 4 in the digital special editions was debatable. 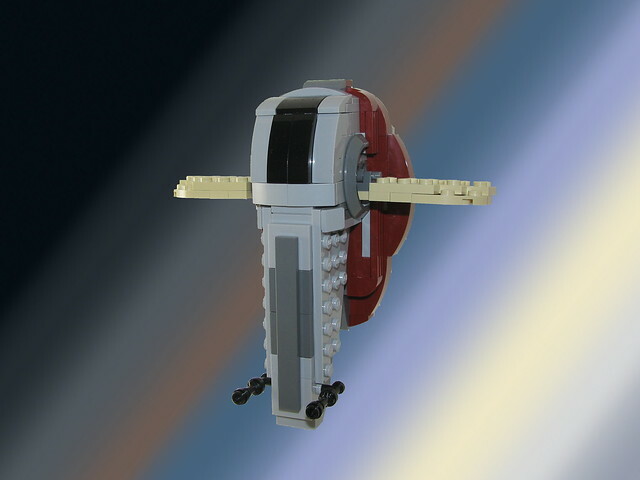 So instead I made another YT-2400, Sato's Hammer from an episode of Rebels. My midi entry. 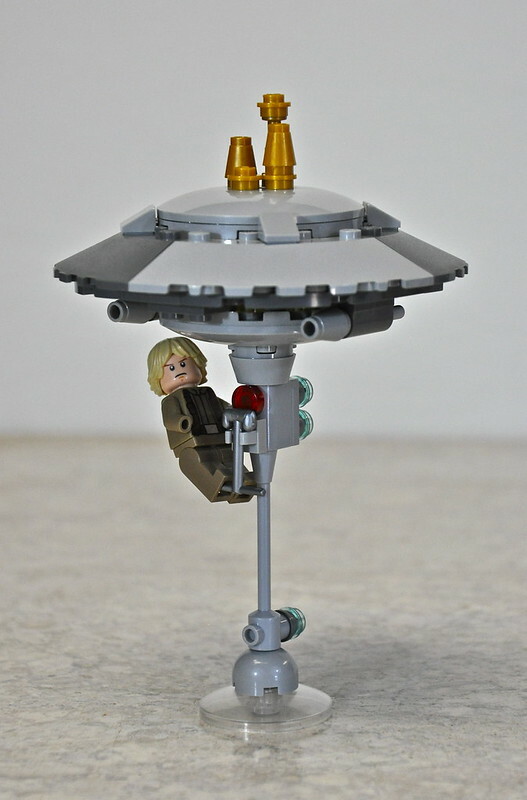 I built this to chase after the Midi Millennium Falcon. Figuratively and literally. Enjoy! My photography skills aren't the greatest but hopefully my building makes up for that. I would've done a Hammerhead Corvette but unfortunately I was half way done when that when the competition started so I couldn't enter that. 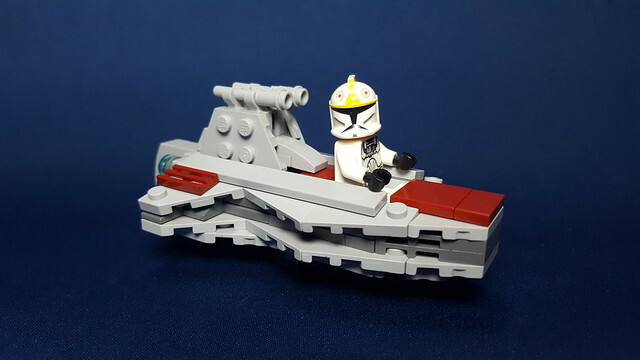 Instead, I decided to make a Clone Wars era ship to go with the rest of my micro Republic ships that are to scale with this. more angles on my Flickr. Last edited by JoeMMo on Tue May 23, 2017 10:46 pm, edited 1 time in total. 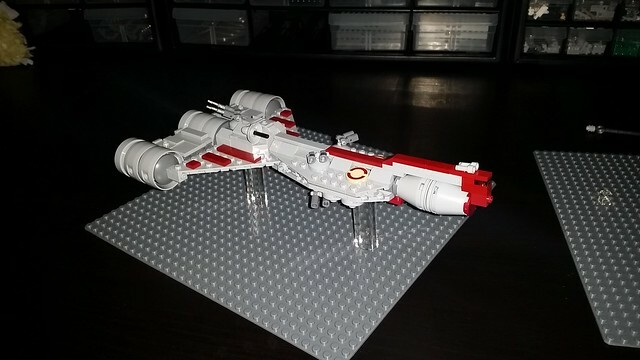 The Arquitens-class light cruiser from Star Wars Rebels. 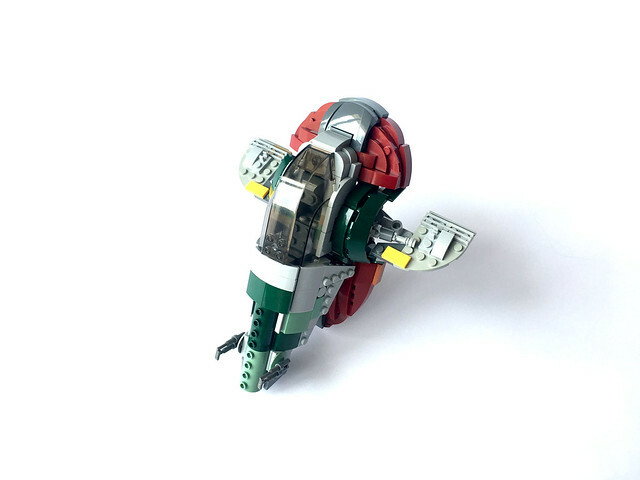 Here is my entry, Microfighter Cloud City!